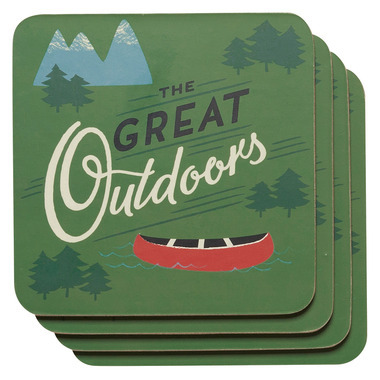 Now Designs The Great Outdoor Coasters are hardboard with cork backing and are easy to clean and very durable. This set of 4 comes in great gift packaging. Each coaster is 4" x 4". Really nice design, good size.